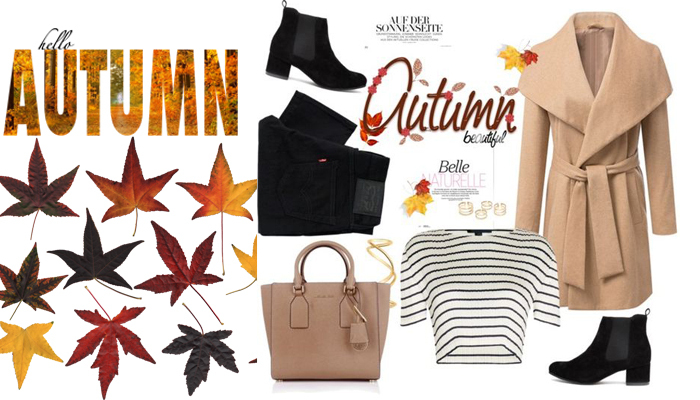 It’s Autumn at the moment here in Australia and I thought this would be the perfect time to post a Fall / Autumn Outfit Inspiration post. I’ve put together three looks that I’m looking forward to wearing this Autumn and Winter. It’s only the start of Autumn and while it’s cooler at night, it’s not cold enough to wear these throughout the day. I thought this would also be the perfect time for me to gather inspo to go shopping for these items in the lead up to Sweater Weather! I don’t usually wear thick jackets like the one above during winter or autumn but I’ve seen so many people wear them during the winter in other parts of the world and I really like how they all style the jacket. I love the colour and the style of the coat and feel like it would be the perfect coat during the peak of winter. I’ve been really into Burgundy coloured things lately. I bought a burgundy swing dress with long sleeves which I wear during the summer (although it’s technically too hot for it). But I feel like burgundy and brown are the perfect Autumn / Fall / Winter colours. This look is quite similar to the first one but it’s a quick and simple outfit to put together. This will be perfect for those colder, but not freezing days where you wouldn’t need a thick coat. This would certainly look cute with just the burgundy crop and black jeans and some cute boots. 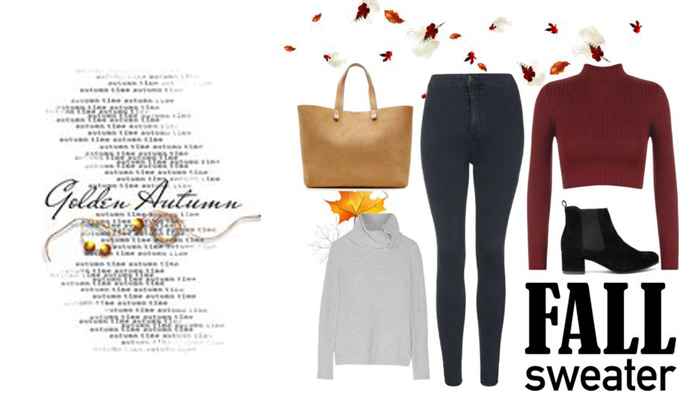 Perfect Autumn look! Towards the end of last winter I was really into sweater dresses and didn’t get a chance to go out and buy more sweater dresses. This look is definitely me as I’m more of a dress and boots kinda girl. So a sweater dress paired with knee high boots and a cute black bag would be the perfect warm and cosy look for this season! Which is your favourite look and what is your go to Fall / Autumn outfit?